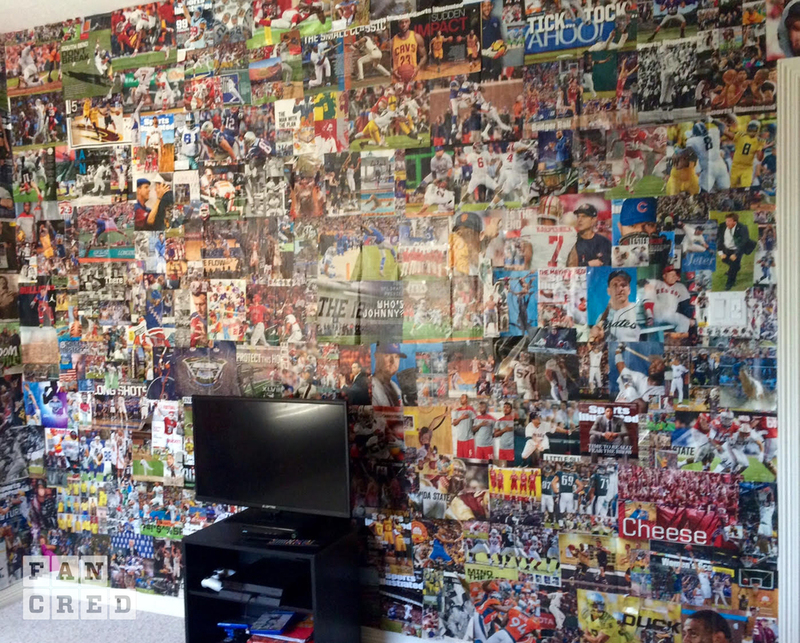 "16 years of Sports illustrated magazines. Who needs paint? My son finally fished his bedroom wall." We reached out to Lori for some higher resolution pictures in order to better understand the detail and magnitude of this endeavor. It is beyond impressive. How many of your favorite photos, articles, and moments can you find below? Each Monday we send an awesome sports email. Get it.